For prices and more detailed information please click on each individual studio. 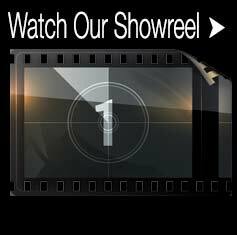 The American Movie Company has been at the forefront of video production and chroma key technology for over 20 years. We were one of the first film companies to adopt Green Screen Soundstages and make them available as rentals. Since then we have become experts in all aspects of getting you the best value for your production. 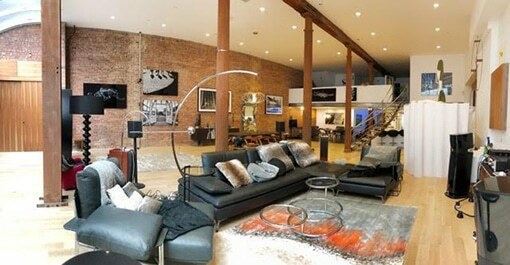 We also have an unmatched understanding of video production in New York City. If you are considering any of our many rental stages, we want to offer you the confidence of knowing that you are in the best and most experienced of hands. Below are some easy tips on the best practices for lighting and shooting on Green Screen. Please don’t hesitate to call us for a free consultation. When done correctly, Green Screen Videography is the perfect way to get spectacular production value at minimal cost. When done badly, the result can be a nightmare for the editor and a financial disaster for the producer. The first question is: Which is Best, Green Screen or Blue Screen? The vast majority of digital composition today is done in Green Screen Sound Stages primarily for two reasons. The sensors of modern video cameras are most sensitive to green, which gives a much cleaner image against which to key than blue screens. This is because the green channel has a higher luminescence than the red or blue channels. Chroma green, the shade found in most soundstages, is the color furthest from human skin tone. Having said this, blue screens can be preferable to green in situations where a foreground element is green. For example, if your talent is the HULK, we could not suggest any of our Green Screen Studios; he would likely become angry when he appears invisible and go on to destroy the set. One of the most critical elements in getting a good, clean key on Green Screen is proper lighting. You will want to light the Green Screen with a flat, even light. Your talent and props should stand at least 5 feet from the Green Screen so that the green light bouncing from the screen does not fall on anything. (If you don’t do this, your trouble in eliminating any green spill in post production could be enormous.) Here are some more tips to help you avoid this. Take your time and look carefully at a professional camera monitor before your shoot. Make absolutely sure there are no green edges on any foreground element. If any green is in the foreground, try to identify and flag off the offending light source or wash out the green with a stronger, more directional lighting source. Needless to say, your talent should never wear green or other light colors which might reflect the surrounding green screen. This applies especially to below the waist. A white shirt worn under a dark jacket is fine; however, white stockings, pants, shoes, or leggings are a major source of trouble. This is also true for highly reflective or bright, shiny surfaces such as jewelry, shiny shoes or transparent glass objects. Your director of photography may solve a good deal of potential green spillage issues by simply using as little green screen as possible. 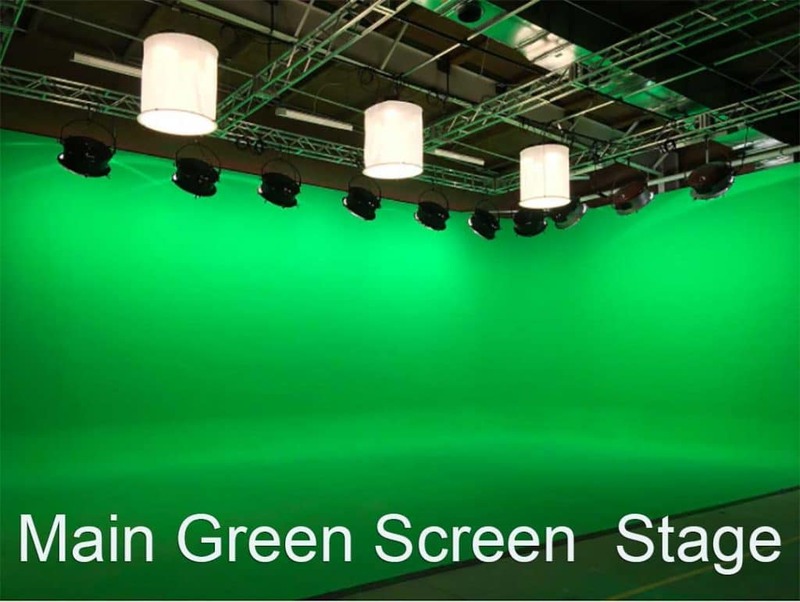 However, many producers also aim for huge green screen soundstages, regardless of how much they need. 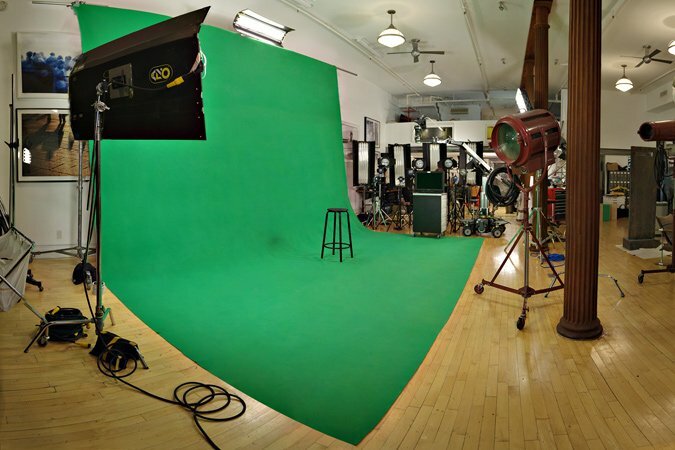 Every American Movie Company Green Screen Sound Stage NYC features black drapes which can partially or completely mask the cyc to avoid green spill or to achieve a total “blackout stage”. To compensate for reflective spill, use side spill suppressor lights flanking the subject to warm up and wash out spill, which will give you a good, clean key. Don’t neglect your green floor. If you are on a cyc and the floor is green, you may have green light reflected upward onto the talent. If the shot does not include the floor, simply throw down a few black sound blankets. Many professional Green Screen Directors of Photography use this technique to avoid having to lock down the camera. A series of tracking markers are placed on the Green Screen background. In post-production, computer programs match the camera movement of the actors against the position of the tracking markers on the Green Screen. They then sync the live action to the inserted video. This results in a fluid, natural camera movement. Whenever possible, incorporate a dark carpet into the set to minimize upward green reflection. In fact, any dark carpet can act as a great solution, so long as it fits into your set. It is important to not underestimate the importance of the background image. While it is possible to simply shoot on green and insert any image later in post, this is generally a bad idea for a variety of reasons. For example, your background image often has one or more light sources. 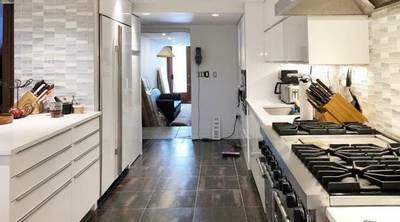 Your DP will want to match where the lighting in the background image would logically fall on the foreground objects. Another example: if there is a high sun on camera left, you will want sunlight over the right shoulder of your talent and shadows falling appropriately form camera left to right. It is also important to pay attention to color temperature. An incandescent lamp in the background image would require a 3200k light on the logical foreground area. One useful technique for lighting a large green screen soundstage is what’s known as a “China Ball”, or a light that looks like a big, round, white Chinese lantern. The advantage of a China Ball is that it doesn’t cast any shadows. You need to take special care when reflected green light illuminates your subjects. Fine blonde hair or transparent glass with liquid are very difficult to shoot. This is why we use modeling lights to illuminate talent. Just be careful to separate your lighting. Certain lights should be designated exclusively for the green and nowhere else; certain lights should also be designated for foreground elements such as people, props, practical sets, etc. Back light creates a soft halo effect on the subject’s hair and shoulders. It gives more definition and separation from the background, but isn’t necessarily great for compositing into a background scene where you need to match lighting. In that case, you could use fill lights to help ensure a smooth, even lighting. The best way to increase the illusion that both the background image and foreground are part of the same reality is to “mix them”. One way of doing so is by placing an element from the background image into the foreground as a practical object. In an outdoor set, logical items might be a tree branch in the extreme foreground to match a tree in the background, or a vase with the same flowers we see in the background image. This can become more difficult when you have to match background furniture with foreground furniture. One way to accomplish this it to shoot your own background material. 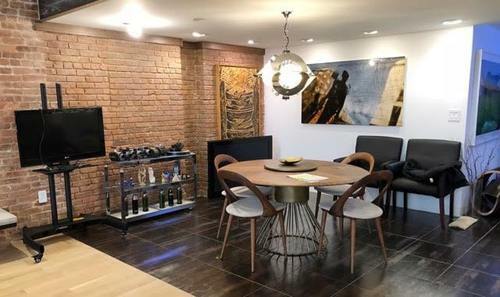 For example, if your green screen is set in a living room, photograph a real room and then take some of the actual elements from that room, such as lamps and chairs, into your studio as practical foreground elements. This will easily sell the shot as more believable. 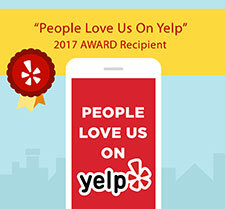 Don't hesitate to call us with any questions! We sweat the small stuff… so you don’t have to. Green screening can be difficult and confusing. Despite your best efforts, you can still get crappy results. You still want to use a good, bright green screen or sheet, and you still want to evenly light it, but this method I’ve developed will give you consistent and effective results using only the built-in effects that come with After Effects. Sometimes your screen might not be green enough, or maybe has wrinkles and shadows. Learn how to use the Selective Color effect to easily make your green screen greener and remove wrinkles and shadows. Next, learn how to use the various settings in the Keylight effect to key out the screen (screen colour, gain, balance, screen matte’s clip black, clip white, despot white, shrink/grow, softness). Next, we’ll extract the matte created by Keylight and tweak it using adjustment layers, the Threshold effect, lighten/darken blend modes, a bit of gaussian blur, and then apply that matte back to the original footage using Set Matte effect, thus preserving the original colors often distorted by harsh keying methods. Finally, we’ll remove the green fringe and spill by using a method developed by Andrew Kramer of Video Copilot (a much less aggressive key in Keylight, Channel Combiner). Then all you’ll need to do is color match, drop in your background, and you’ll be good to go! This was filmed using a Samsung HMX-H200 and a Canon EOS Rebel T3i (600D) DSLR, screen captures were done using CamStudio, audio using a Blue Icycle and Shure SM57 in Audacity, put together in Adobe Premiere Pro CS5 (for the tutorial) and Adobe After Effects CS5 (for the green screening).